Situated on the shore of Loch Kishorn, two very comfortable holiday cottages in exceptional locations - with glorious views over the sea to Skye and the Applecross hills. 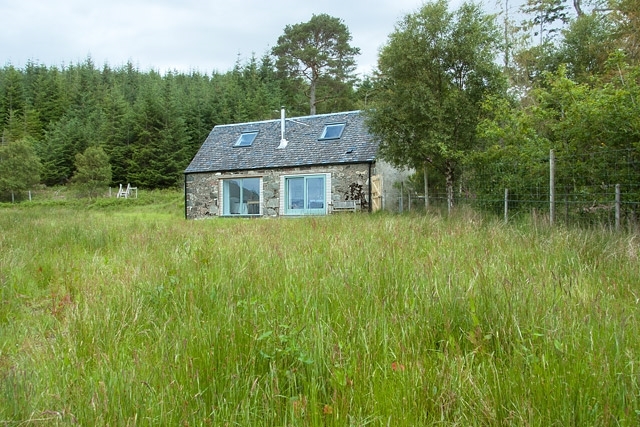 Ardoch Bothy is a romantic hideaway, designed for two people to live very comfortably, in a secluded position (approached via its own track)and with a lovely outlook across the sea to Skye and the Applecross hills. 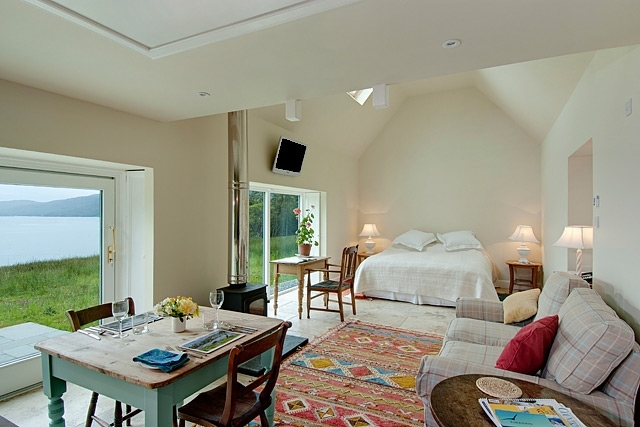 Open plan, with super king-size double bed. Separate luxury bathroom. Garden and plenty of parking space. Gracie's Cottage is virtually on the sea shore (you can easily throw a stone into the sea at high tide, from the front door) and is warm and very comfortable. One doubled bedded (king size)room, and one twin bedded room. Two bathrooms. Garden. Plenty of parking space.